Acting Attorney General Matthew Whitaker was paid nearly $1 million by a nonprofit highly critical of Democrats that doesn’t disclose its donors in the two years before he joined the Justice Department. That’s according to new public financial disclosures released by the Justice Department in response to a request from The Associated Press. Whitaker received $904,000 in income from the Foundation for Accountability & Civic Trust from 2016 through nearly the end of 2017. He was paid $15,000 by CNN as a legal commentator. Several news outlets and outside groups had requested the documents in recent weeks. Such forms are usually released within a day or so of a request. But the documents show that Whitaker hadn’t completed them and was revising them as late as Tuesday. The Senate’s top Democrat has asked the Justice Department’s watchdog to open an investigation into communications between acting Attorney General Matthew Whitaker and the White House. Sen. Charles Schumer wants the Justice Department’s inspector general to look into Whitaker’s communications beginning in 2017, when Whitaker was appointed chief of staff to then-Attorney General Jeff Sessions. 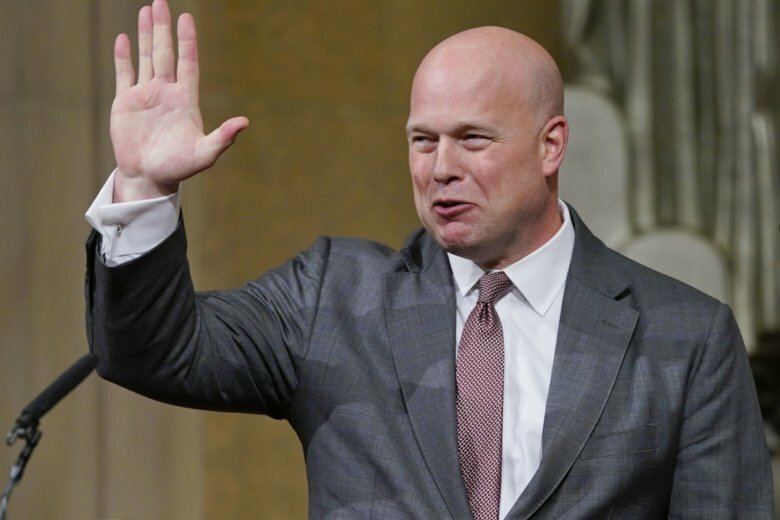 Whitaker was elevated to the top job after Sessions was ousted by President Donald Trump earlier this month. In a letter to Inspector General Michael Horowitz, Schumer said he wants inspector general’s investigators to look into whether Whitaker had access to confidential grand jury information in special counsel Robert Mueller’s Russia investigation..